Best cream for cracked heels & dry feet! Everyone will have this problem. Especially if you are always walking around with heels, damp shoe and such. As you get older, your feet will get rougher. You need an earlier prevention to make sure that you wont have a hard time later to remove them! I found out this cream specially formulated for hands and feet. 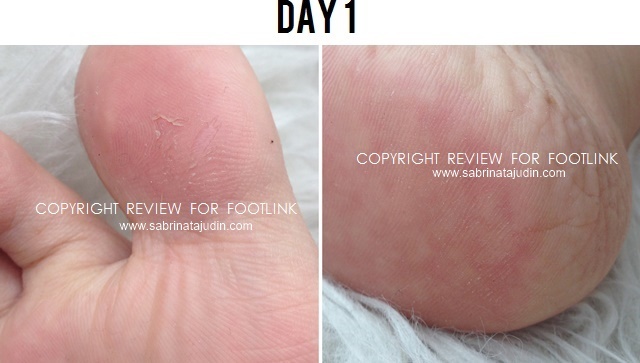 It is the Footlink Moisturizing Cream. It has a non-greasy and non–irritating formula. It claims to be a lightweight hydration that replenish sensitive skin. It is fast acting and light weight. It is formulated with Cocoa Butter (to help moisturize), Aloe Vera (to help soothes) & Vitamin E (to help repair). It does not have any fragrance or scent to it, pretty basic and straight forward. It is a luxurious cream with affordable price tag for your everyday use! Did you know that this cream are HALAL certified, not tested on animals & of course, vegan! It free from coloring, fragrance, lanolin, mineral oil, paraben, SD-Alcohol, SLS & harsh detergents. It is best to apply this after shower, this is when your skin absorb product better because it is damp. I like to apply after I have took my shower, wear my outfit/pajamas and straight to the computer. When I am sitting, I also like to reapply it through out the day. You know, sometimes when the internet is buffering, I'll reach this cream and gently massage my feet. Haha. Multi-tasker. This is how my feet looks like! I'm focusing on the major dry part of my feet. As I get older, my feet tends to get rough and dry. Especially on these two parts. As you can see the skin even starts to peel off and it felt very rough. I start applying the cream and focus on these area and I give some extra massage with the Footlink cream on these area. On the 5th day of using this cream, it kinda already start to heal the dry area. 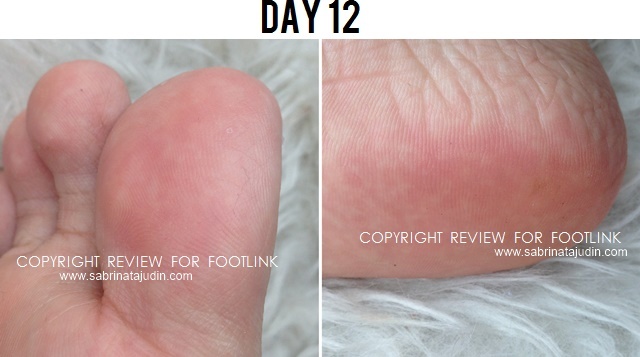 I can still see the peeled skin on the bottom part of my toe but it is better than what it looks like on the 1st day. the bottom part of my feet are still dry and fine lines can be seen. On the 12th day my dry area are fully healed. The cracked part are visibly gone and I am pretty happy with the result! The roughness around the bottom part of my feet can still be seen but when touched it is softer. Other than that did you know that it can also be use for the entire body, not just for the hands and feet. If you are interested, do check out below links! It retails for RM25.00 each.